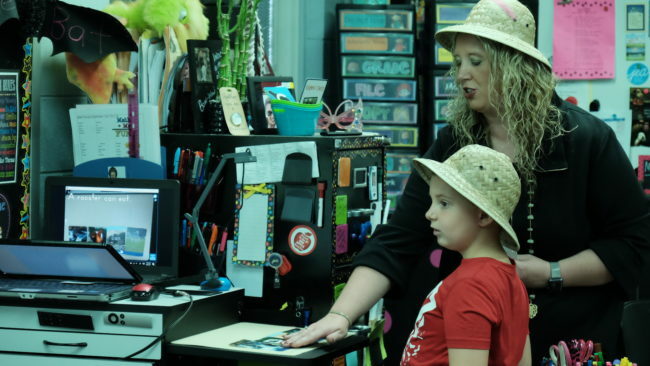 Kindergarten teacher Heather Tomlin-Rohr is often the first teacher in her students’ lives. She doesn’t take that responsibility lightly. 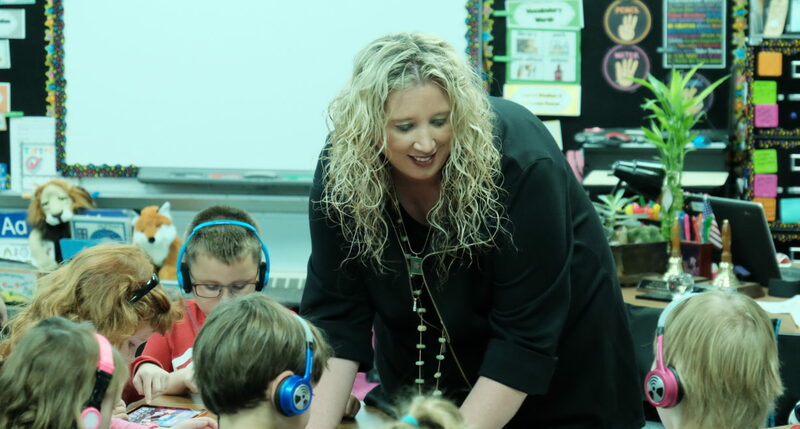 North Dakota Teacher of the Year finalist Heather Tomlin-Rohr is a kindergarten teacher at Louis L’Amour Elementary School in Jamestown. Tomlin-Rohr, a 14-year teacher at Louis L’Amour Elementary School in Jamestown and member of North Dakota United, was one of five finalists for the 2018 Teacher of the Year award. From left, Gov. 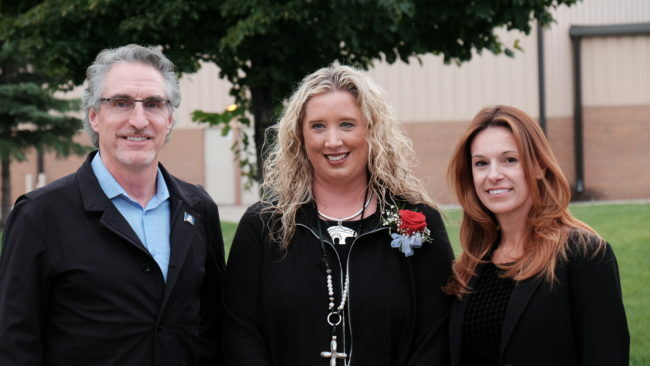 Doug Burgum, Teacher of the Year finalist Heather Tomlin-Rohr and Superintendent Kirsten Baesler stand together outside of Fargo South High School. She got involved in education by teaching Sunday school at her church, and teaching farm safety through Future Farmers of America (FFA). She received her degree in early childhood and elementary education from the University of Jamestown. And was hired at Louis L’Amour in 2002 as a kindergarten teacher. 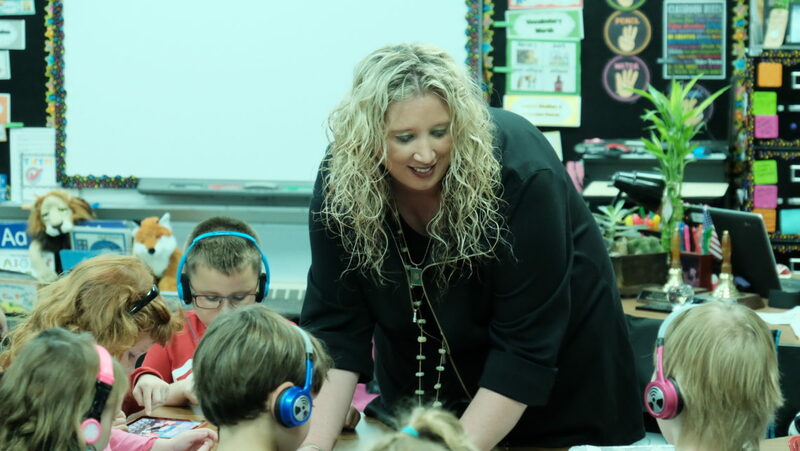 Tomlin-Rohr is a two-time finalist for Teacher of the Year, this year and in 2015, primarily because of her innovative approach to teaching and learning, through the application of technology and muscle movement. Heather Tomlin-Rohr helps her student learn about animals with an augmented-reality program in her kindergarten class at Louis L’Amour Elementary School in Jamestown, N.D.